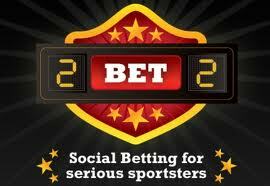 Whats hot on 2BET2 today? In the Premiership its Arsenal who host Chelsea. 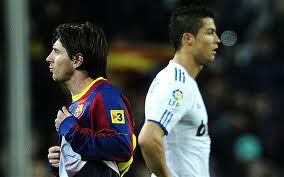 Both are looking to keep their unbeaten records intact in what should be an emotionally charged London Derby. Serie A and Juventus will be looking to extend their incredible unbeaten record to 45 when they take on Roma. With Napoli hot on their tails on the log Juve need the win to keep top. La Liga sees Messi and co travel to Sevilla looking for another win. Barca have been at their brilliant best this season. Messi didnt score last week so bank on a brace at least from the brilliant Argentine. Rugby action comes at you from both sides of the Hemisphere today. In the Aviva Premiership it is unbeaten and defending champions Harlequins that take on Saracens at Twickenham. 90000 expected to pack the stadium for this one. Sarries desperately need to win if they wish to keep their aspirations alive. Down South The Rugby Championships continue. The Springboks welcome Australia to Loftus were they will be looking to revenge the defeat they suffered at the hands of the Wallabies 3 weeks ago after surrendering a healthy lead. World Champions the All Blacks have been in top form this year make the journey to Argentina for the first time. The Pumas are in the tournament for the first time and were regarded as the potential whipping boys. This however has not been the case as a string of superb performances have laid any doubt to rest that they dont belong with the heavyweights. The T20 cricket world cup continues with the Super 8s today in Sri Lanka. England the defending champs take on the impressive New Zealanders. A loss today against The Black Caps will seal their fate and they will have to keep the attacking MaCullum quiet if they stand any chance. In the second game, hosts Sri Lanka take on the Windies. Sri Lanka have been one of the best in the tournament so far however Chris Gayle can destroy any attack in double quick time. Dont forget sports fans the small matter of the Ryder Cup continues. The Americans enjoyed a stellar day yesterday finishing ahead 5-3. Olazabel and his team need to lift their games today if they want to mount a challenge and retain the coveted trophy. All this and more coming your way today only on 2BET2, the worlds leading fantasy Sports Book.